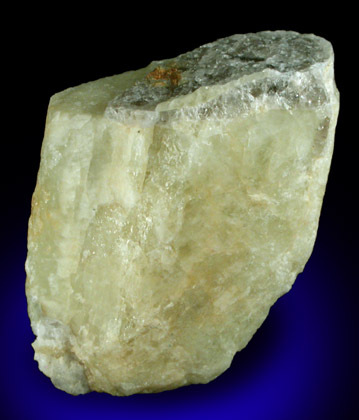 Description: Yellow beryl crystal with half of the termination capped with 2 mm layer of smoky quartz. I organized the excavation of the quarry dumps for several mineral clubs using a bulldozer and was able to collect many beryl crystals. This one is typical.